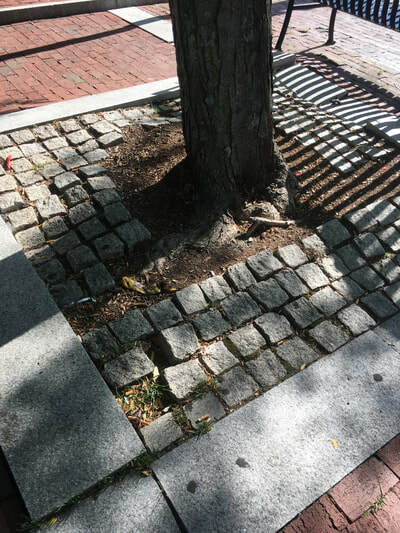 Street trees require a catchment area around each trunk to ensure that air and water get to the roots through what would otherwise be an impervious surface. This is critical to tree health and survivability. 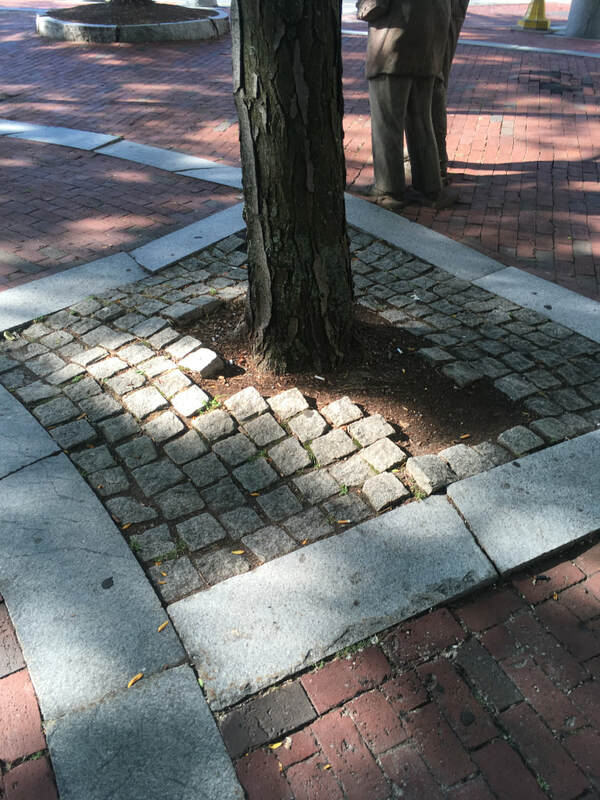 Having a granite surround with granite blocks separated by pervious soil ensures air and water penetration. 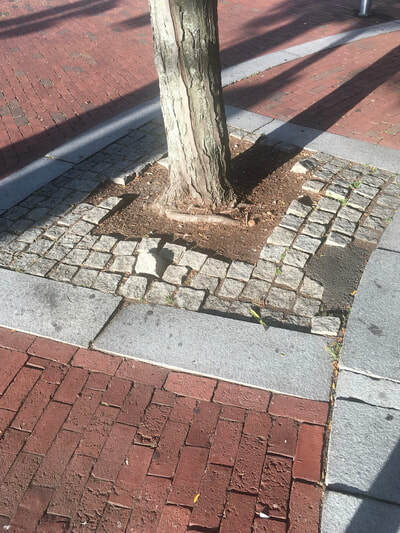 However, when the blocks become missing and the granite surrounds heave and buckle they present a trip / fall hazard - apart from being unsightly. 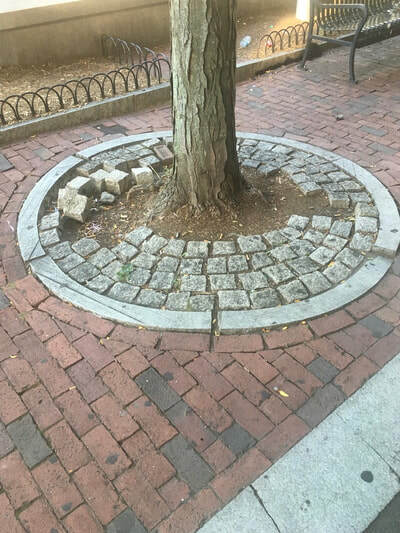 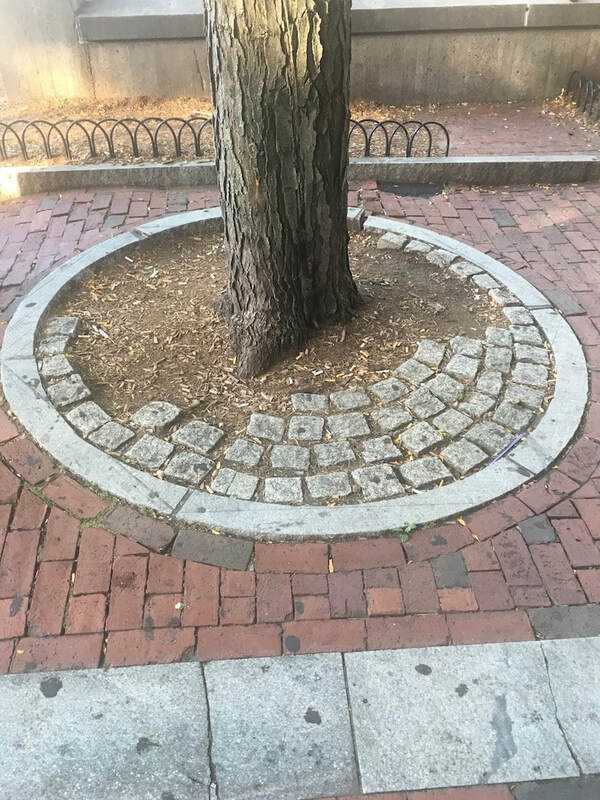 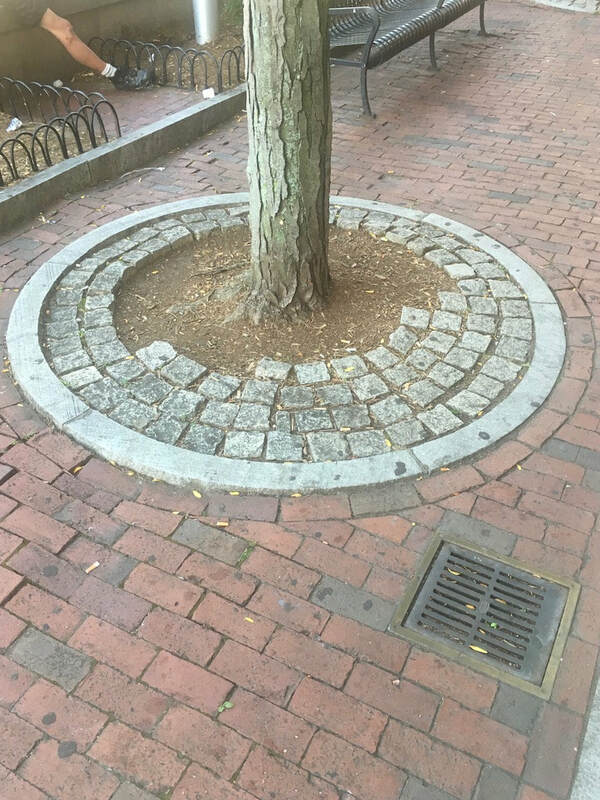 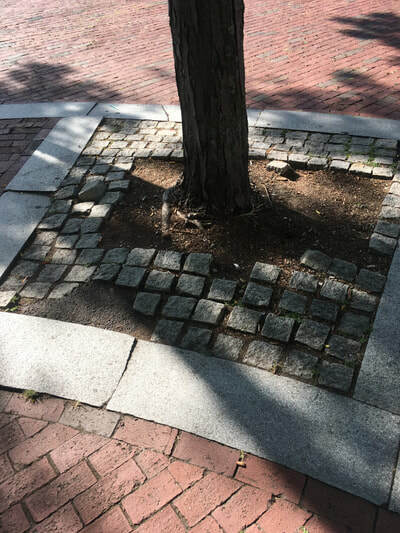 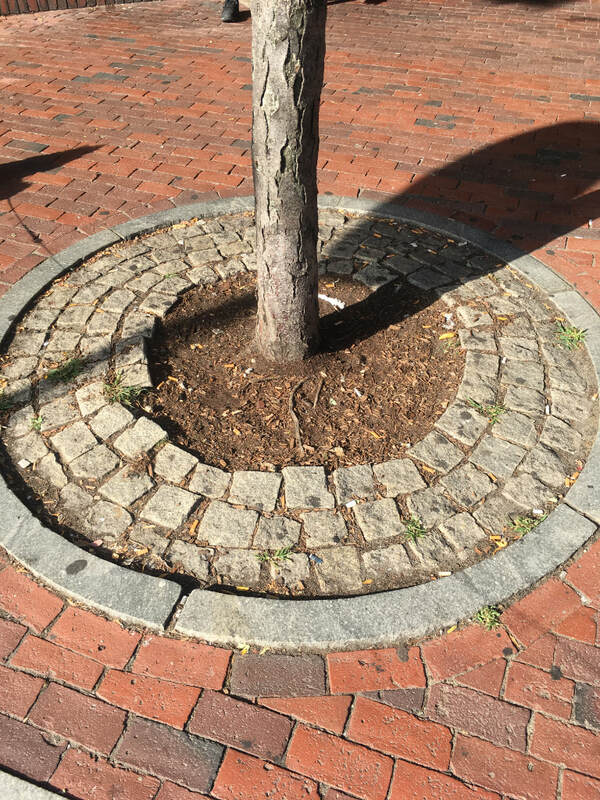 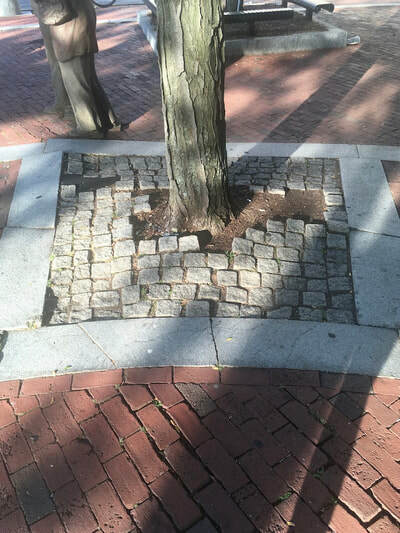 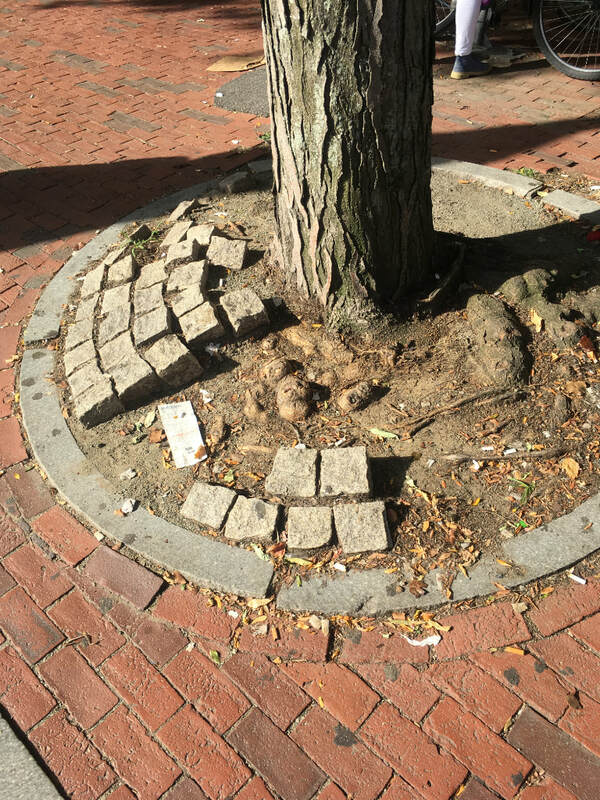 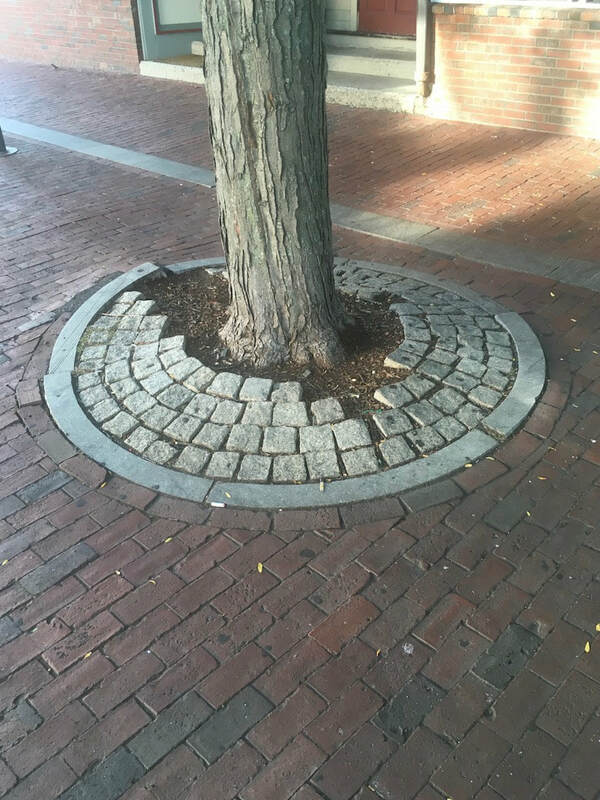 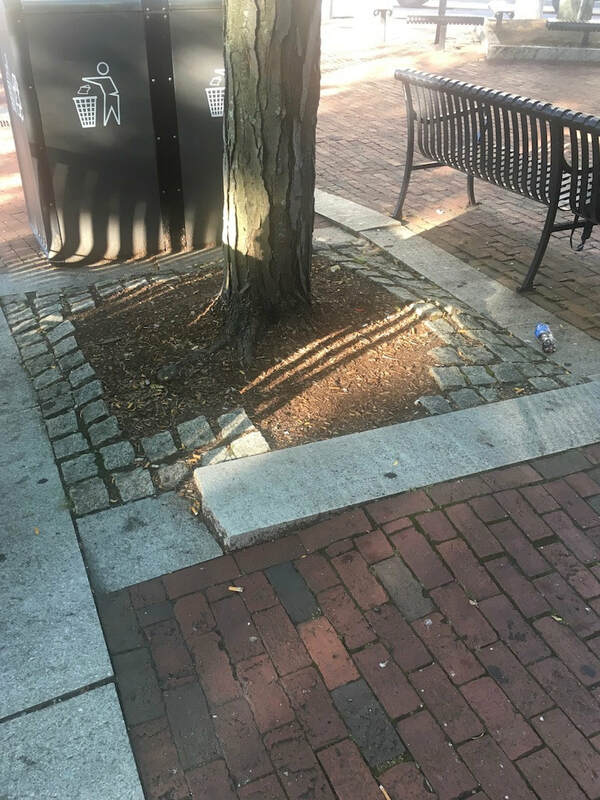 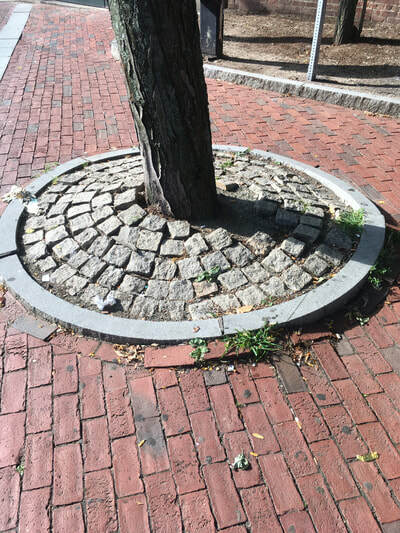 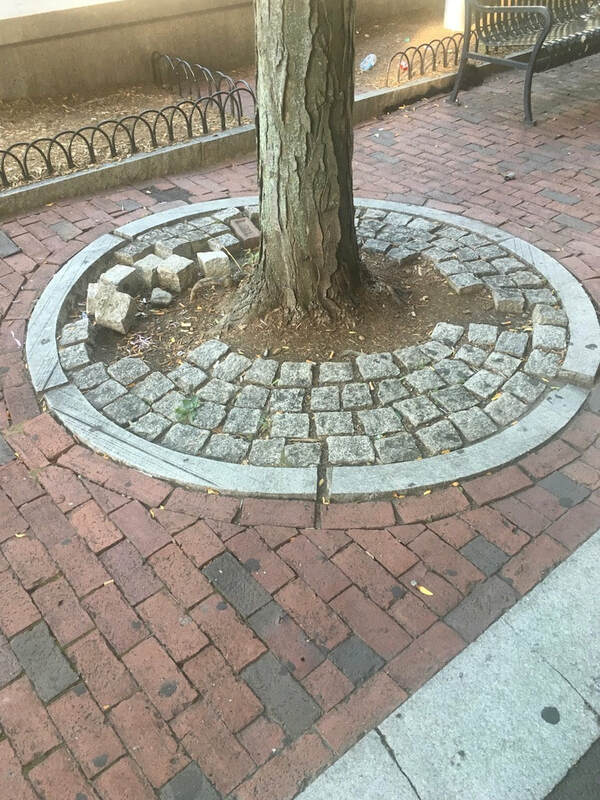 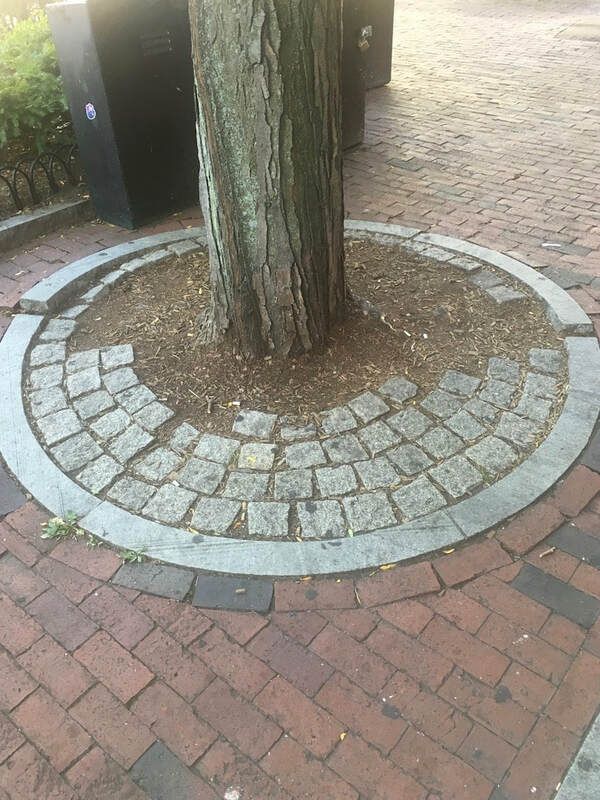 The tree wells in Davis Square all largely suffer from at least one of these problems, if not both. 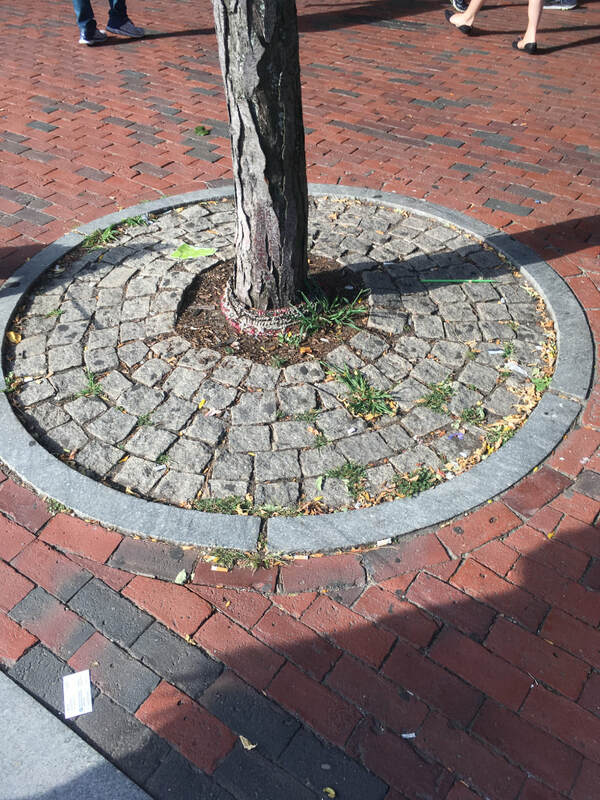 The remedy is easily within reach. 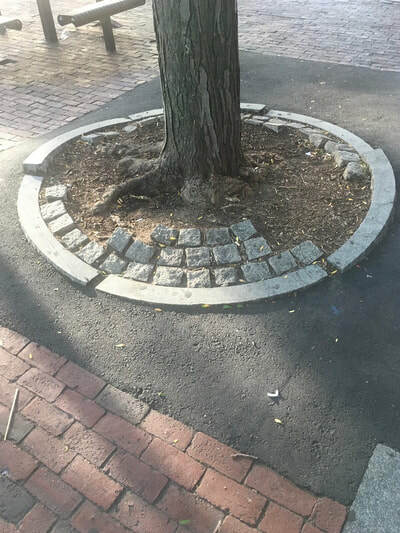 It means removing, regrading and replacing the surrounds that are affected and re-seating blocks or replacing missing ones.